The Food & Drug Administration is currently investigating more than 21,000 complaints against Wen Hair Care. The product line, sold by Hollywood hairstylist Chaz Dean, has come under fire in recent months. Thousands of customers across the country have reported hair loss after using the product. The claims range from bald spots to large chunks of hair falling out, as well as going bald completely. The multi-billion dollar cosmetics industry goes largely unregulated, lawmakers claim. There is now a push by several members of Congress to strengthen the powers of the FDA to vigorously test ingredients in beauty products and recall those deemed to be unsafe. 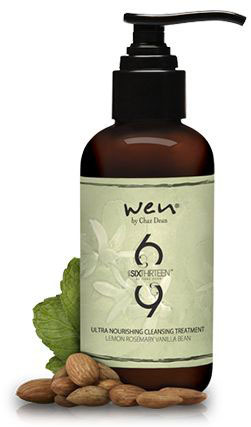 Televised infomercials advertise Wen as a hair-cleansing game changer. The product gained popularity when actresses, including Alyssa Milano, Brooke Sheilds and Angie Harmon appeared in the segments, alongside Dean. Wen has not granted any on-camera interviews despite numerous requests from media. A class-action lawsuit was filed against Dean, along with Guethy-Renker, the distributor. A Bay Area woman, Tina Bak, is among people who have used Wen and experienced significant hair loss. Prior to that, she admits she was excited to use the product. But, she noticed something odd right away. The mother-of-two noticed that bald spots were expanding on her scalp. She would brush her hair and she claims it would come right out of her head. Her scalp would itch and when she scratched it, she says that the hair would rip out from the root. The mystery of her missing hair was solved in December 2015, after watching an 8 on Your Side segment. Tina was both shocked and relieved to hear that she wasn’t the only one going through heartbreaking, mysterious hair loss. 8 On Your Side has followed Tina’s case closely. She tells us she recently received a letter from the FDA, as the agency is now investigating 21,000 complaints across the country from customers who have used Wen. Congress is trying to get tougher laws passed to give the FDA more power to issue mandatory recalls on products deemed unsafe. The news is a positive step in the right direction says Bobbi Russell, a certified clinical trichologist from Hair Therapy for Women in Tampa. “Obviously, there’s a problem. If it’s 21,000 claims, that’s a lot,” she told WFLA. As a longtime, renowned expert in her field, Bobbi treats hair loss cases in women daily, delving right down to the scalp. She welcomes the proposed changes that would allow the FDA to crack down on products. “When women lose their hair, it is a traumatic experience, both emotionally and physically. They don’t feel like a woman anymore,” Bobbi told us. Bobbi is hoping that something good can come out of all this, specifically that consumers will become more educated and informed about their products they are using every day and the effects those products have on our bodies. “It is a science. Our skin is our largest organ. I don’t know the exact ingredients of Wen. But, I do feel we need to know exactly what we’re putting on our skin and what we’re putting on our scalp,” she explained.